Today’s review is long overdue, but here it is finally! 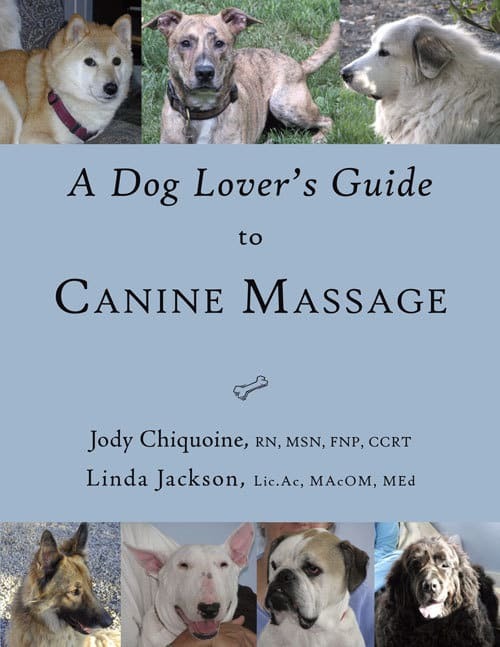 A Dog Lover’s Guide to Canine Massage by Jody Chiquoine and Linda Jackson is a workbook for dog owners who want to learn the basics of massage for use on their own pets. Linda and Jody have been teaching canine massage therapy for many years, and this book was originally developed as a guide for people attending their classes. Encouraged by their participants and by requests from others, Linda and Jody decided to turn their class guide into a book. 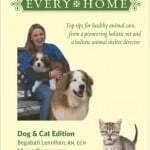 “A Dog Lover’s Guide…” is divided into 8 chapters. 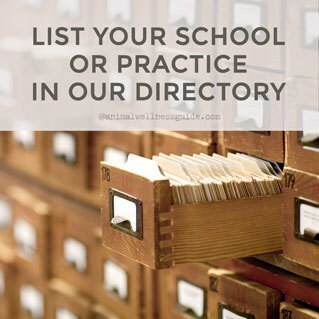 Each has lots of photos as well as worksheets where you can record your own observations. 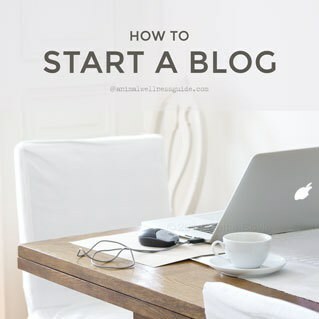 The authors suggest reading through the entire book first, and then going back to the beginning and start learning the techniques, and I agree that it’s a good idea. 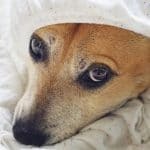 Chapter 1 talks about canine body language, what to look for, and how to handle massaging shy, fearful or dominant dogs. Chapter 2 covers the benefits of massage, do’s and don’ts, contraindications and how to go about getting your dog used to receiving a massage (not every dog immediately takes to it). 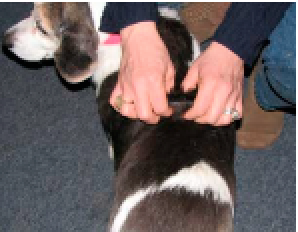 In Chapter 3, each massage stroke (10 in all) is described with photos and instructions for how to do it on both your dog and yourself. Chapter 4 gives you the basic anatomy of dogs and how their bodies compare to ours. In Chapter 5, you learn how to stretch your dog, an important technique for many reasons. It not only increases your dog’s flexibility and range of motion, it also helps them become more aware of their body, reduces the risk of injury, and improves coordination. 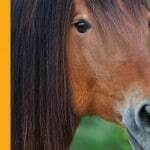 Chapter 6 shows you how to do an entire massage routine from head to tail, and also how to prepare yourself before beginning the massage (breathing, relaxing and communicating with your dog). This chapter ends with a step by step list of a full body massage sequence. I like this list a lot, I would suggest copying it and putting it near the spot where you normally massage your dog. Chapter 7 is FAQs. Chapter 8 talks about the different dog breeds and has seven terrific tables (one for each group) with a short description of each breed’s heritage, their typical stress areas and where they might need massage. The authors make comparisons between dogs and people throughout the book and instruct you to practice each massage stroke on yourself as well; something I think is really helpful. You can learn from reading, but doing and experiencing something yourself is where the real learning takes place in my opinion. I also found the worksheets to be very useful. For some reason you take more time thinking about something when you have to put it down on paper, and putting things in writing helps make sure you “got it”. I really do like this book and I think it’s a great introduction and basic manual for anyone interested in learning to massage their own pets.